Arizer Extreme Q Vaporizer is one of the most popular Arizer models on the market today and for good reason. Arizer has designed this desktop vaporizer with versatility in mind, giving you the ability to choose the method of draw that is best suited toward your needs. Simple to use and capable of producing clean, toxin-free vapor with incredible taste, the vaporizer sets the bar high in terms of quality and performance. With the Arizer Extreme Q Vaporizer, you can choose from three methods of delivery to suit your needs. Insert the 360-degree swivel whip and use the vaporizer as a traditional direct draw model, or switch on the fan and let the Arizer vaporizer due to the work for you. Add the bag attachment and enjoy the convenience and easy sharing that comes with forced air balloon delivery. You can also add the potpourri bowl and use the device for aromatherapy or diffusing oil to freshen and scent the air. At first glance, you can see that the Arizer Extreme Q is unlike any other dry herb vaporizer on the market today. Its unique vertical Cyclone bowl not only makes it more stylish, but it also improves air distribution, allowing for incredible flavor quality and enhancing the potency of herbal blends. The included remote control makes it easy to take full advantage of the digital temperature controls. With just the touch of a button, you can set the perfect temperature from 122 to 500 degrees Fahrenheit in single degree increments for maximum performance. The smart automatic fan speed function allows the Extreme Q to blow air at an ideal pace to maximize vapor production. Along with its remote control, the Arizer Extreme Q includes an LCD display. With a quick glance, you can see the current temperature of the herbal vaporizer and view the set temperature at the same time. An automatic shutoff feature allows the desktop to automatically turn off in 2 or 4 hours to ensure safety and eliminate hassles. To provide the cleanest, pure vapor with every vape, Arizer has made the Arizer Extreme Q Vaporizer out of the absolute best materials. Glass-on-glass components eliminate toxins, keeping vapor free of aftertastes. The ceramic heating element further ensures purity. Capable of reaching optimal temperature in just 2 minutes, the heating element is outfitted with triple heat sensors to ensure optimal heating and help prevent combustion. The sleek stainless steel housing gives the Arizer vaporizer an attractive design while ensuring durability. Measuring 8 inches by 12 inches by 12 inches in size, the Arizer Extreme Q can be placed on virtually any hard surface for safe operation. The energy efficient device weighs roughly 5 pounds and can operate on both 110 and 220-volts for use at home and while traveling abroad. Arizer backs the table-top vaporizer with a 3 year warranty on its electronic components and a lifetime warranty on its heating element. The kit comes with a stir tool, a pair of screens and even a potpourri sample to help you experience the aroma-therapeutic benefits of the Extreme Q. This my first desktop vaporizer so I can't compare, but I can say this works great.You can't beat the price and very good service from VaporPlants. Strongly suggest to all my friends to shop with them. the best and great price. Exactly how I want it - Review by Richard F.
I was always interested in getting a desktop vape but never had the knowledge or money to get one. I got once recently, though, and was trying to decide what I wanted between the Arizer Extreme Q and the Volcano, but I am glad I went with the Arizer Extreme Q. I love that I can do both a whip and a bag. It can be a tricky thing to clean because of its many glass parts but it is not the end of the world. If you don't mind cleaning, this is a great base. I love that there is temperature control as well as a fan so I am always able to choose exactly how I want to vape that day. Learning curve - Review by Sarah D.
The Arizer Extreme Q comes at a great price and works just as it’s supposed to. There is a learning curve but that's okay. I advise that you store it the proper way that they tell you to, to make it last longer. Efficient - Review by Elizabeth J. The Arizer Extreme Q is really efficient and a great value for the money. 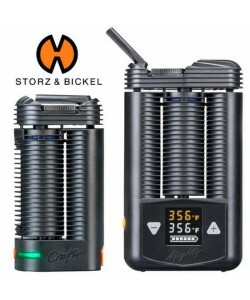 Definitely recommended - Review by Sharon N.
This is a great vape, especially considering the price. The whip and the bag are both easy to use but I prefer the whip. In the past I have used other vapes but could not get the hang of it. I learned immediately how to use the Arizer Extreme Q and was good to go right away. I would definitely recommend the Arizer Extreme Q to a friend. The best vaporizer - Review by Brandy R.
I have had the Arizer Extreme Q for around a week and it has been great. Everything is perfect and it works as it should. Great price - Review by Richard M.
I love that it comes with a remote control. It's a big steal for what you pay for it. Great for groups - Review by Terrance R.
I upgraded from a portable vape to the Arizer Extreme Q and I love it so much more. It's great for group use. Good choice - Review by Ronald K.
The Arizer Extreme Q is still something I am learning how to use since I am new to vaping. I think that it is a good choice for those like myself who are only just getting into vaping as well as those who are used to it. It is fun to use both at parties and alone. It is made really well and is super easy to use. I think it is also saving me money on my herb so it is going to pay for itself in only a few uses. So far so good - Review by Ramiro S.
I have had the Arizer Extreme Q for around 10 days now and so far so good. I plan on using it full time. The herb seems to go further for me in this vape than in any of the other vapes I have tried. The only bad thing I have to say about the Arizer Extreme Q is that the screen at the end of the whip can sometimes get clogged so I am always having to clean this thing often. Other than that it’s great and I love the fan. The Extreme Q Vape looks cool and it works like a charm... I Always use mine with the whip attachment. Never had a problem with vapor. Never had a part break. Never had a moment's regret about investing in my Arizer Vaporizer! My friends love to hate me now. They have Extreme Q envy, lol. Everybody wants to vape at my house these days. After several disappointing experiences with other vaporizers, I bought a Extreme Q Desktop Vape. I decided that if I didn’t like this one, I was never going to try vaping again. Suffice it to say that I'm a vaping convert now. I tell everyone not to mess around with other types of vaporizers. Just go straight to any of the Arizer Vaporizers!!! My Arizer Extreme Q Vaporizer vape rocks, pure and simple!!! After I was convinced to try vaping herbal medication, I invested in the Arizer Extreme Q vaporizer. It has really made a difference! I'm eternally grateful. For those with the Extreme Q, if you buy a second elbow piece (the part that attaches your hose to Cyclone Bowl, it comes in standard sizes and will fit perfectly) - It can take a few seconds of pulling to fully heat up the herb in a lot of vapes. So, for those who use and have bigger tobacco pipes, you may find it better to pull really slowly. Fill the chamber to the top with dry herbs, exhale while cupping the top, then take a full toke. Otherwise I end up with a big lung of air the first pull, so inhale slowly overall for an even vapor after. Love it - Review by Anna T.
This monster is awesome, the vapor is clean, tasty and easy on the throat. I have had it for 6 months now, and it does as needed each time. Okay, the bad part, it is large and you have to put it away if you have your parents coming over, since it does standout. Since I got this as a gift from my boyfriend, I have not smoked and always rather not. Now that I want one to use in public, I will be getting a portable vaporizer or a vape pen, most likely and atmos or Arizer Air vaporizer. Performance is great - Review by Geraldine J. You have to ask yourself, where will you mostly be using your vaporizer. For me I only smoke when I am home, so this tabletop vaporizer works great, I sacrifice the portability, but I get amazing quality in vapor and taste. 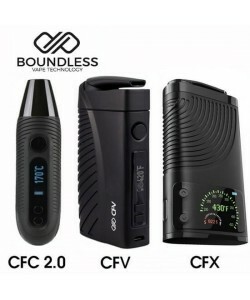 There are some portable vaporizers out there with high quality convection style heating methods, but nothing beats a desktop vaporizer vapor quality. The setup time is greater if you put it away each time, but most of my other friends have it sitting on their coffee table. I bought this as my first vaporizer and I’m happy with it – after two weeks of use. It comes with a ton of accessories and the remote control was the deal breaker. The vaporizer itself gives powerful, high quality vapors, and it’s built very well, no cheap plastic taste.